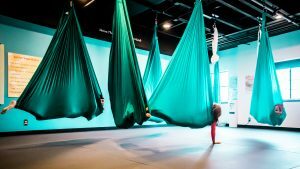 Mindfulness + Aerial Yoga + Movie = Fun! At the Mindful Child, we know parents need a break from time to time. With Kids Night Out, parents enjoy a night out while kids engage in in activities that are fun and beneficial to the brain and body! Friday evening Kids Night Out event is offered on select dates through out the year. 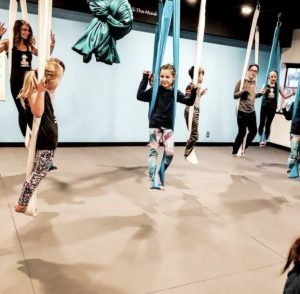 Kids Night Out is for children ages 6 to 12. We will provide an evening full of aerial yoga, mindfulness, mindful art projects, salad party, and healthy great tasting pizza. We will wind down with a movie on the projector. Our February 8th Kids Night Out will be a Valentine’s Day theme! Kids Night Out will feature mindfulness and aerial yoga. This holiday themed Kids Night Out will include pizza and everything else our regular Kids Night Out includes, but our mindful art project will be Valentine’s Day based.